How to resize a Summed Area Table/Integral Image? How to you scale this SAT/Integral Image? For example, I wish to downscale it from 16x16 to 8x8. How would I go about calculating that? 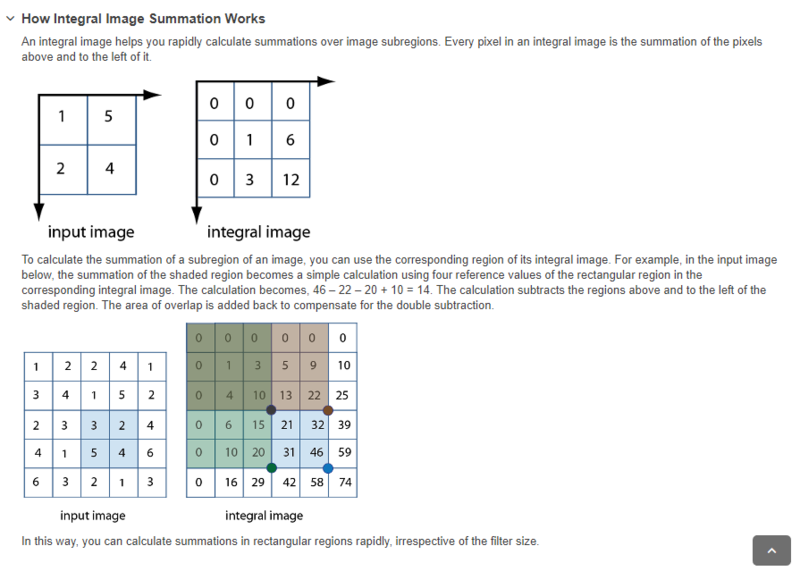 Calculation of the integral image is a linear transform on the original image. throwing away $N-1$ of every $N$ pixels. since low-pass filtering is also a linear operation, we can just switch orders of summations and down-scale the result image. Nothing special applies. Not the answer you're looking for? Browse other questions tagged image-processing matlab object-recognition face-detection or ask your own question. How can I go forward with this image processing task? Difference between subsampling and downscaling (image)? How to verify if two images have the same object/content? Summed-area table vs Integral image? How would a Linear Gray Level Transform affect an image?